If you looking for a 4G surveillance camera, this High Tech Rock 4G High Definition Spy Camera and DVR is the perfect solution and it's designed for outdoor use. You can place it anywhere on the ground in a back yard or open field. Just aim it where you want to watch and bingo, you can remote view and record at the same time. It's perfect for law enforcement evidence and even if you want to watch your house or someone else's. Any application is perfect for using this 4G surveillance camera that operates in places where there is no WiFi or power signal. 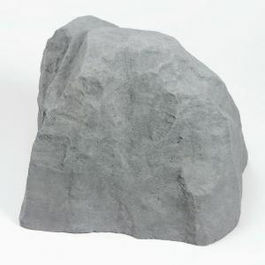 This outdoor rock spy camera comes equipped with a 4G Data Hotspot for mobile internet access. View live video and watch playback from anywhere. You can also record to a remote location. Works in T-Mobile network areas. If you're not sure about coverage in your area contact one of specialists for more information. Comes with 3.5GBs of 4G Data per month. If the 3.5GBs of 4G data runs out the hotspot will switch over to 3G data. The 1st month of service is included. After the 1st month you can simply refill the data plan on your own.